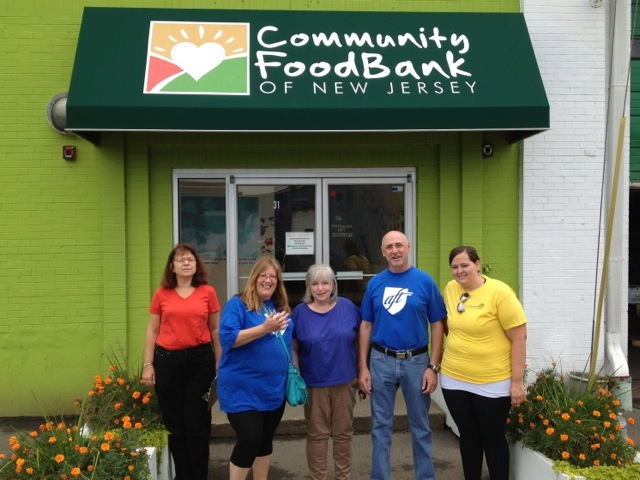 On Friday, July 26, 2013, a team from AFT Local 1904 volunteered at the Community Food Bank of New Jersey (CFBNJ). The entire team found it to be a rewarding experience. 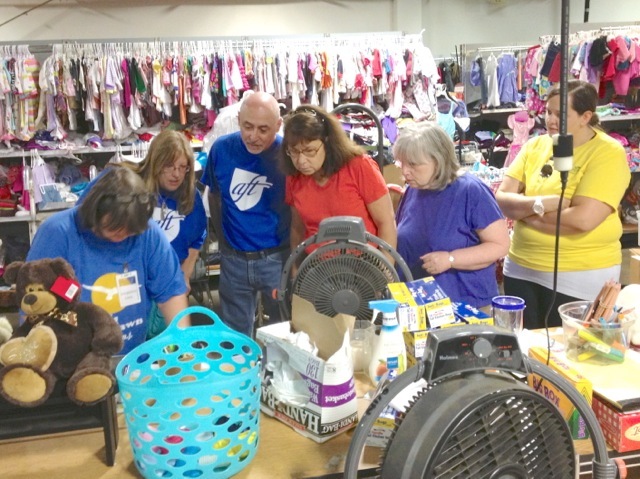 Rich Wolfson, AFT Local 1904 President, said "I thought it would simply be volunteering my help and instead I came out feeling wonderful about helping and seeing all the people working so hard to make New Jersey a better place to live." Many thanks to Krystal Woolston, Rich Wolfson, Bill Sullivan, Louise Davies, Deb Solomine, and Joann Pinto for spending a few hours helping out at the CFBNJ. On July 25, 2013, Rich Wolfson, President of AFT Local 1904, addressed MSU's Board of Trustees on a number of the agenda items. He extended congratulations to the two faculty members granted Emeriti status. He commented on the fact that even though there were seventy (70) faculty appointments only five (5) were tenure track positions. In addition, he informed the Trustees about the issues related to the Instructional and Clincical Specialist positions and the grievance the Local will be filing regarding administration's contractual violations related to these positions. Lastly, he discussed Dr. Cole's compensation package, which is quite considerable. Click here to read his entire statement. Krystal L. Woolston, member of AFT Local 1904, leads a team of Montclair State University students who are volunteering in Superstorm Sandy recovery effort. Join AFT Local 1904 in volunteering at the Community Food Bank of New Jersey on Friday, July 26th from 10:00 a.m. to 12:00 p.m. The Community Food Bank of New Jersey is located at 31 Evans Terminal, Hillside, NJ 07205. Space is limited. To reserve your spot, send an email to union@mail.montclair.edu. Children the age of 12 and older are welcome to participate.